Polar night is very interesting for travelers, its duration is 1.5 months. The sun remains hidden for about 1500 hours a year. Nevertheless, it is not as difficult as it may seem. During the polar night, the landscape is covered with snow and beautifully reflects the light of the stars. Twilight around noon, as a rule, gives enough light to read. The period of the polar night is an ideal time for observing the Northern Lights. It can be observed from late autumn to late spring, until the coming polar day does not completely illuminate the sky. If only the weather would allow. The usual frosty night sky is the best time for observation. The Northern Lights is one of the most stunning natural phenomena, equal in beauty which simply does not exist! A lot of myths and legends are associated with the Northern Lights. Our ancestors, not understanding the nature of certain phenomena, associated them with something mythical, sometimes divine. With the onset of the Polar Night, the city shines with thousands and thousands of various lights. You will fall into a realistic light illumination. 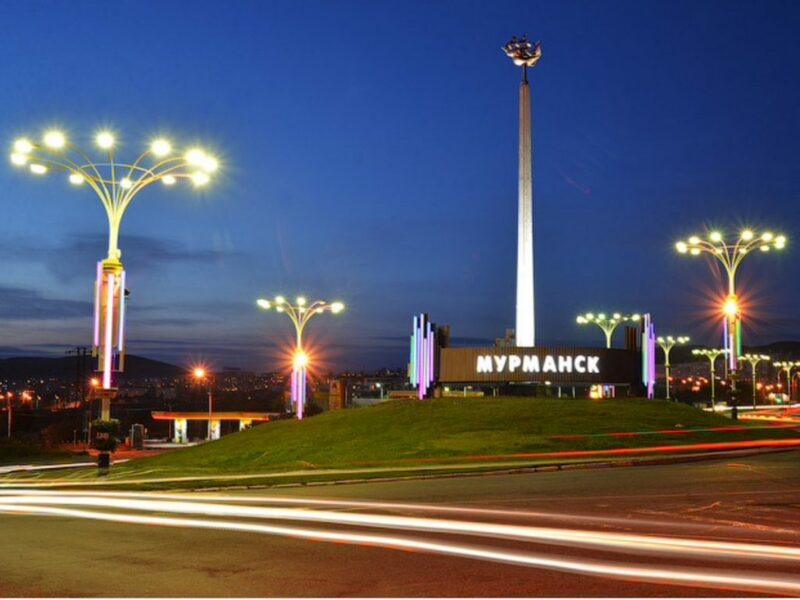 Murmansk turns into a city of light and fire. Polar night is a winter fairy tale! The period of the excursion is October – April. Duration of the tour is 4 hours. The calculation of the tour is available on request.